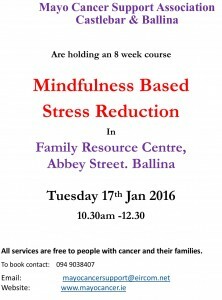 .Mayo Cancer Support Association are holding a Mindfulness Based Stress Reduction workshop starting on Tuesday 17th January 2017 in Ballina Family Resource Centre from 10.30am-12.30. Stress is the cause of so many ailments in our modern world. This workshop will give us the tools to deal with it. 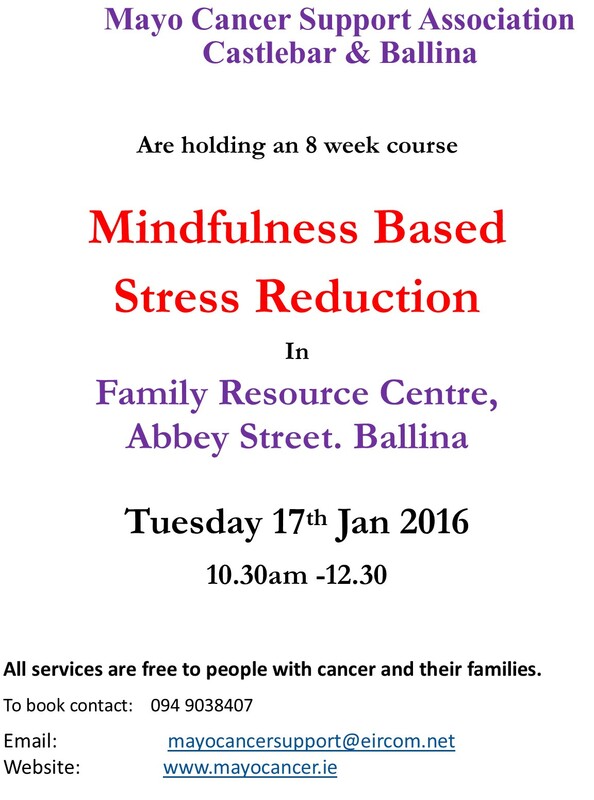 Booking is advised as places are limited, call 094 9038407 to reserve a place.